Sometimes in life, they say less is more, but we beg to differ. For this episode of Upodcasting, more is more! We squeeze in a load of TV shows and 2 movies. Well, 3 movies if you include Asim coming very late to the X-men Days of Future Past party. It could even have been 4, but Ahmed is further behind as he hasn’t even watched Guardians of the Galaxy (sheesh, come on Ahmed, get with the programme already!). With the three un-wise men back on form, Upodcasting gears up for the autumn with Ahmed first up talking about TV shows Legends and Forever (both showing in the UK on Sky). Martin doesn’t really count as he’s been “catching-up on” the A-Team (yes, really), but we still manage to cover Gotham, which debuted this week on Channel 5 in the UK, and How To Get Away With Murder. 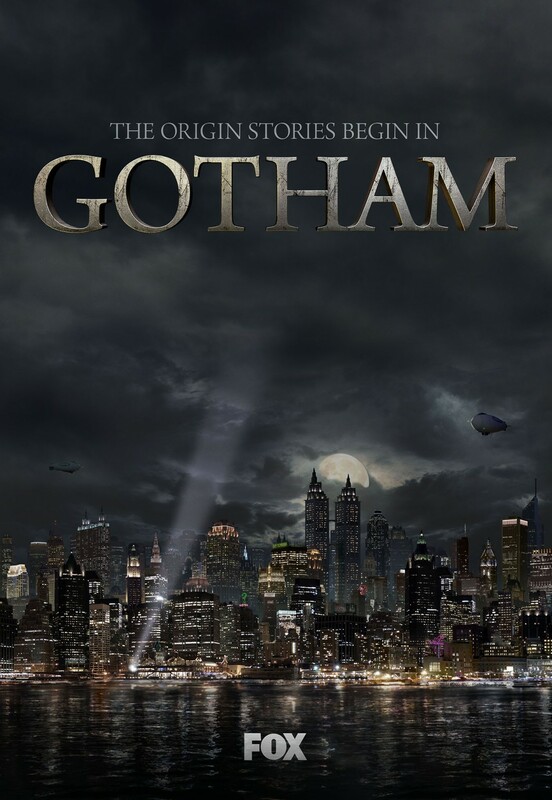 Gotham has the most potential arguably, even with a known and in theory limited universe. Back to movie-world and we talk about Woody Allen’s latest, Magic in the Moonlight, starring Emma Stone and Colin Firth. Perhaps harsh to compare it to Blue Jasmine (yes, Martin did call the best actress Oscar first) but then what choice do we have? It seems like with Woody Allen you have to apply some kind of logic as to hit or miss: it’s been 2 years, there’s been a lunar eclipse and he hasn’t been to court, therefore it’s a winner. Thankfully it’s a good one and a lot easier to discuss than Frank, our final movie. Starring Michael Fassbender, Domnall Gleeson and Maggie Gyllenhal but sort of not starring Michael Fassbender…this is certainly in the mould of an art-house movie and raises the question of artistic integrity and the motivations for artistic expression. And that’s about as succinctly as we can express it without giving to much away. As the London Film Festival rolls onwards, we are joined by writer, producer, DJ Shai Hussain and talk about the movies we are most looking forward to as well as give short thoughts on the ones we have already caught like Jason Reitman’s Men, Women and Children and Justin Simien’s Dear White People. 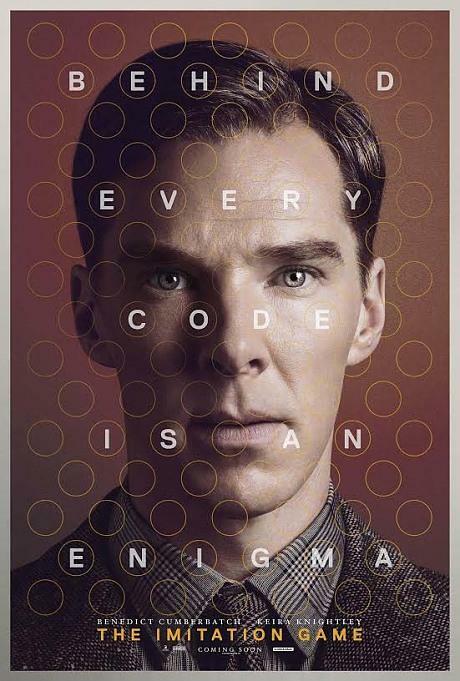 Our main review is the opening night’s The Imitation Game starring Benedict Cumberbatch, Keira Knightley and Matthey Goode based on the life of mathemetican Alan Turing and how he worked on cracking the Enigma machine and helping the allies defeat the Nazi regime during WWII. As always download and subscribe to our Podcast in the links below. Let’s get rid of the obvious to begin with. If you are here to know if you should consider watching Haider, releasing in cinemas on the 2nd October 2014, then here’s my comment. Vishal Bhardwaj’s Haider might possibly be his best work yet, and is a must watch, not just for cinema enthusiasts or Bard-purists. It is also an essential watch for anyone who appreciates art, in any form – be it visual, aural, and I am sure if smell-sense tech was advanced enough, Bhardwaj would have made that available as well. He does come very close. Haider, based on Shakespeare’s longest and most-adapted play Hamlet, is possibly the most tragic tale out of the Bard’s body of work. Romeo lost Juliet and vice-versa, Othello lost his wife, but poor Hamlet – that poor fellow lost his entire family, his loved one, and even his would-be in-laws. This potent tale of the Prince of Denmark set in the late 16th century finds a seamless transition into the 1995 world of Kashmir – a land amidst militancy and martial rule, torn between power heads exercising control. This Kashmir does not look familiar to Shammi Kapoor, or colourful Shikaras, or one where Kishore and Lata would sing – Kitni Khubsoorat Ye Tasveer Hai. Kashmir here has the gloom of loss, of half-widows and their dried tears, of frozen waters, dead cold snow, of curfews keeping life indoors, and of angry fires burning – literally and metaphorically. 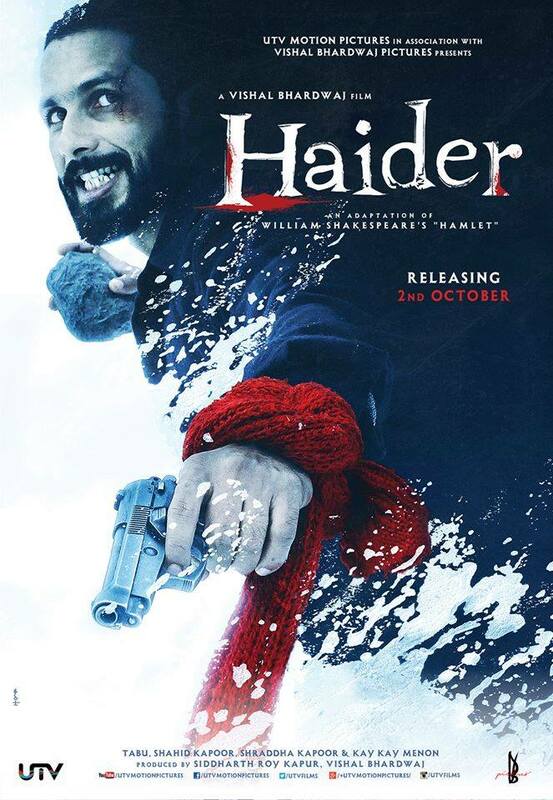 Hamlet, here called Haider (Shahid Kapoor), has been summoned by the “disappearance” of his father, Dr. Hilal Meer, a respected Doctor of the community who on humanitarian grounds, operates on the leader of a militant group in his own house. The opening scene shows an elaborate miltary operation that ends up in the destruction of the Meer’s family home. Haider’s return to Kashmir is greeted by his burnt down house, and he then finds his mother Ghazala (Tabu), laughing at his uncle Khurram’s silly dance and song routine. Haider, still deep in mourning, is disgusted and torn between grief for his father, anger for his uncle, and longing for his mother. Thus begins Haider’s quest to find his father, unravel the mystery behind the disappearance, and also answer the many questions that face him. It being a Shakespeare tale, there is enough scope of theatricality, but there is also the risk of alienating audiences by setting up a story that is politically relevant, and yet having the characters to be out-of-place by making them speak lyrical monologues. Bhardwaj strikes the perfect balance between the two. Haider was brought up in a “shaayraana” household, where both the father and mother sing Urdu ghazals and recite poetry. The many paralles between the source play and this adaptation are clearly present. And yet, Bharadwaj’s Haider is a beast of its own that comes alive not just in its deviations from the source, but also in the striking eyes of its stellar cast. And what a cast it has. The leads – Shahid Kapoor is brilliant. There is no other way to put it. You can see how thirsty he has been for roles such as this. And perhaps, only Bhardwaj can tap his talent. Until now, Kaminey remains the peak of his acting career. Haider is undoubtedly a few planes above that in terms of performance. Through the span of the movie, Haider’s sorrow, misery, anger, frustration and rage of vengeance all come alive in the eyes of Shahid Kapoor. It is hard to believe that the same guy was seen prancing with Sonakshi Sinha on Gandi Baat. More of this please. Kay Kay Menon’s Khurram is the Claudius of the tale. And no one knows how to play a slime-ball or an “aasteen ka saap” better than this polished actor. Menon’s perfect thick-Kashmiri accent and his treachery are just textbook performances. And it looks textbook, because the dude knows what needs to be done with what is arguably the meatiest role in the tale. And Menon runs with it, even at times convincing me to feel sympathetic for his sins. I’ll save the best for the last – Tabu as Ghazala, mother Meer or Mauji of Haider, proves again why she is often referred to as the best talent we have in the Indian film industry. Her sensuousness defies her age, her tears cry out to you, and her sorrow aches your heart. Her last act brought me memories of seeing her in Gulzar’s Maachis, a similar story of a woman caught in desperate circumstances, striving to reconcile with life and finding release in the unspeakable. The supporting acts – Familiar TV actos Narendra Jha as Dr.Hilal Meer, and Lalit Parimoo are both striking, even in their short appearances. Shraddha Kapoor’s portrayal of Ophelia is note-perfect. In her Arshia, we see the the love that Haider longs for. Veteran actor Kulbhushan Kharbanda’s two lines are enough to echo in your head throughout the movie. 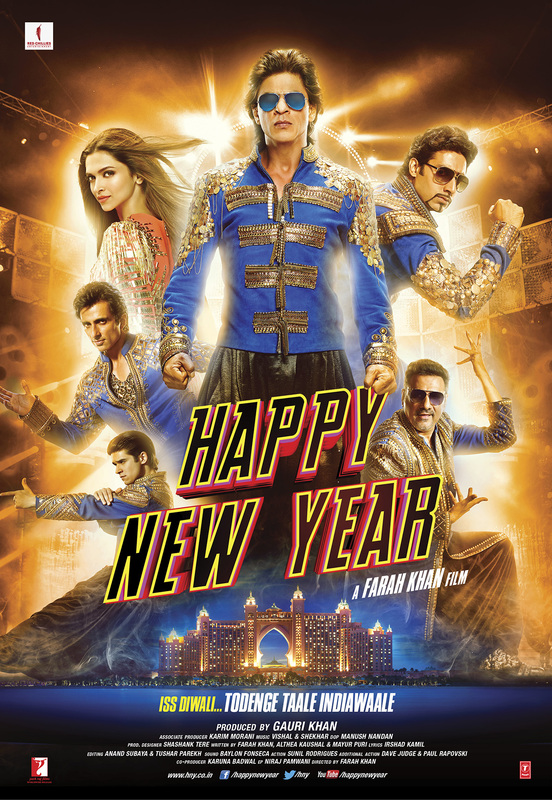 And then there is Bhardwaj alumnus Irrfan. His appearance just before the interval is possibly the “show-stealing” entry scene that even lead heroes would envy and die for. Coupled with a electric bass guitar riff, a burnt eye, an evil walk, and a name called Roohdaar, Irrfan scorches the screen, even when Kashmir is drowned in snow. Not to forget, the comic relief provided by the two Salmans who cannot resist dropping a nod to “Salman of the 90’s” is pure chuckle-nectar. It sort of reminded me of Key and Peele’s appearance in the Fargo TV Series. 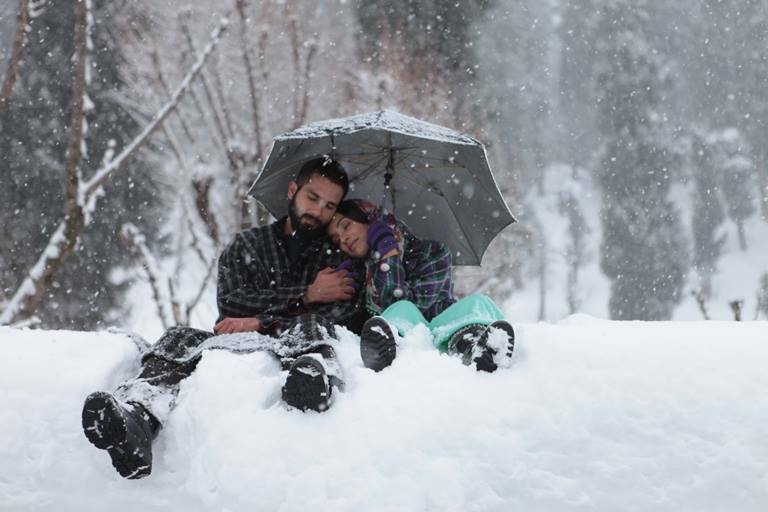 Speaking of snow and Kashmir, this review is not complete without singing praise of the DOP – Pankaj Kumar, who has painted this tale with a gloomy blue hue. Teamed with the action choreography scenes in snow, there is something poetic about seeing violence being unleashed on a white snow floor with crimson red blood splattered all over. Kumar sweeps through the Kashmir landscape, unveiling the chill in the wind, the warmth over a cup of Kahwah, and even capturing authentic visuals through his un-touristy lens. Bhardwaj has also composed the music for the movie, and it is gorgeously woven into the narrative. As previously mentioned, the electric bass riff that announces Roohdar’s entry spreads its wings as the gravedigger’s song – and I believe that it will continue to haunt me and the audience long after the end credits have rolled. Then there is Sukhwinder’s Bismil – the musical play within Hamlet that has a life in itself. Perfectly choreographed, and some amazing rhymes written by the one and only Gulzar. It leaves me awestruck, and in some sort of a dilemma, whether I love Bhardwaj the director more than Bhardwaj the composer, or vice versa. Fortunately, I don’t have to choose. Haider plays in UK theaters from today. Sujoy is a bonafide Bollywood fanatic, and loves good food, cinema, and sleep, in that order.